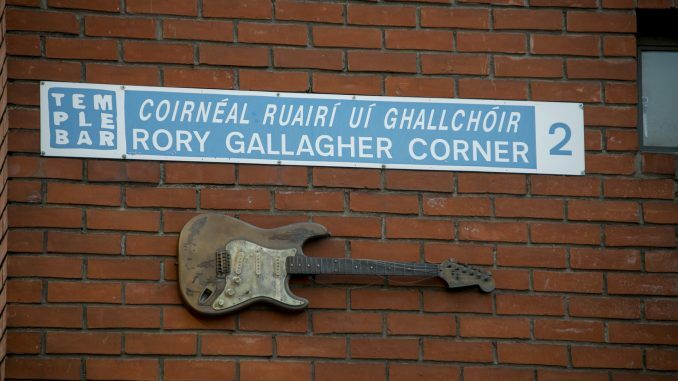 Rory Gallagher Corner is a monument dedicated to the famous Irish blues musician, songwriter, and producer. 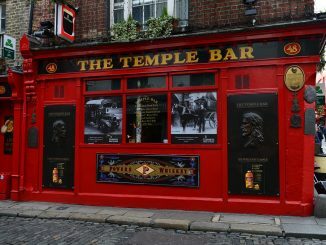 In honor of his life’s work and the impact he had on the country, the monument at Meeting House Square in Dublin’s Temple Bar features a life-sized bronze replica of his Stratocaster placed ridiculously high on a brick wall. The bronze 1961 Fender Stratocaster is above the Rory Gallagher Corner entrance to the Meeting House Square on Essex Street East. The Edge of U2, and the Lord Mayor of Dublin attended the 16 June 2006 unveiling of the monument.